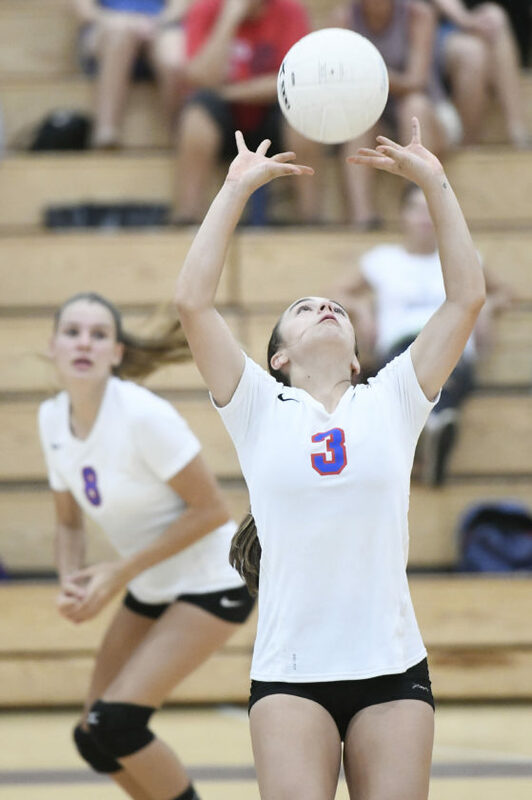 OLINDA — Now is the time for Isabel Bennett to step up for the Seabury Hall girls volleyball team. The 5-foot-7 senior outside hitter is doing just that. 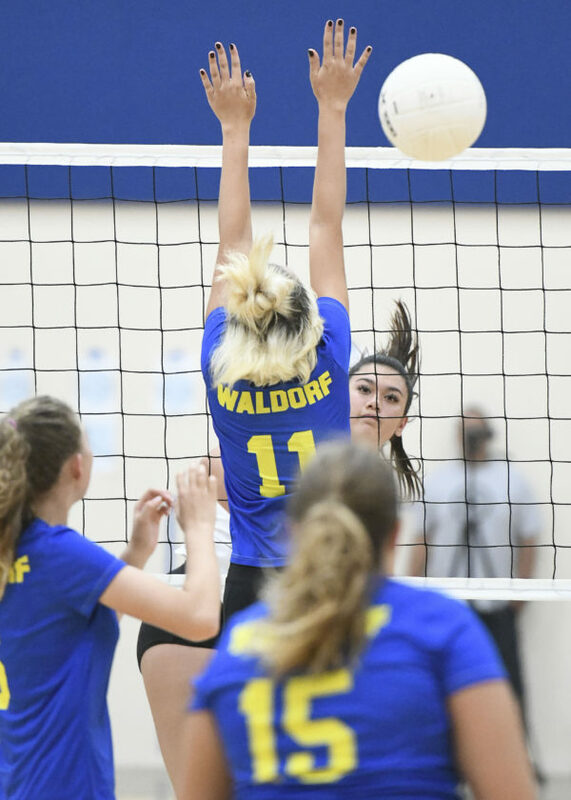 She had 13 kills and three digs in a 25-8, 25-7, 25-7 sweep of Haleakala Waldorf School on Tuesday night at the Erdman Athletic Center. It was an interesting contrast of the veteran, perennial prowess of the Spartans vs. the second-year program at Haleakala Waldorf. 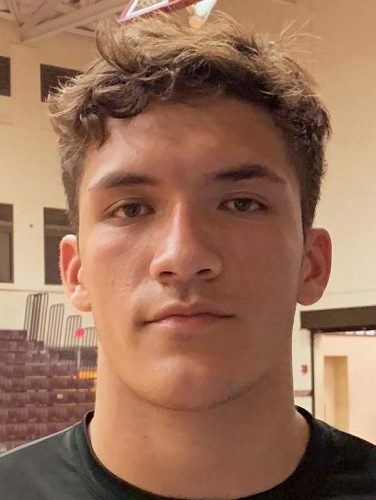 Indeed, Waldorf came into the match 1-0 in Maui Interscholastic League Division II play after a season-opening win over St. Anthony. Seabury Hall improved to 3-0 with the victory that took less than an hour to complete. The Spartans have five seniors, two juniors, one sophomore and five freshmen on their roster. Ella Connor had 17 assists, Kii Rilveria had seven digs, and Skylar Conley added two blocks for Seabury Hall. Seabury Hall coach Scott Zucco sees the MIL D-II ranks getting better and better. “It’s always a challenge belding freshmen and the upper classmen,” he said. “It was a tough preseason — we traveled a little bit — but little by little they’re getting better. It always helps when the freshmen are pulling their weight. 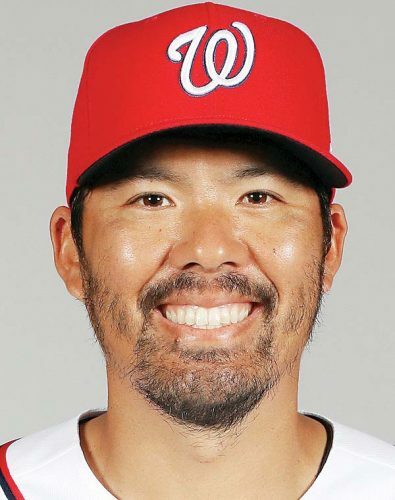 We definitely have our work cut out this year. That is certainly true for HWS, which dressed nine players on Tuesday. At times last year, they were forced to play matches with four on the court. Sophomore Mileina Sniffen led HWS with three kills. Na Alii swept the Sabers 25-8, 257, 25-23 to run their record to 4-0 in MIL Division I play. 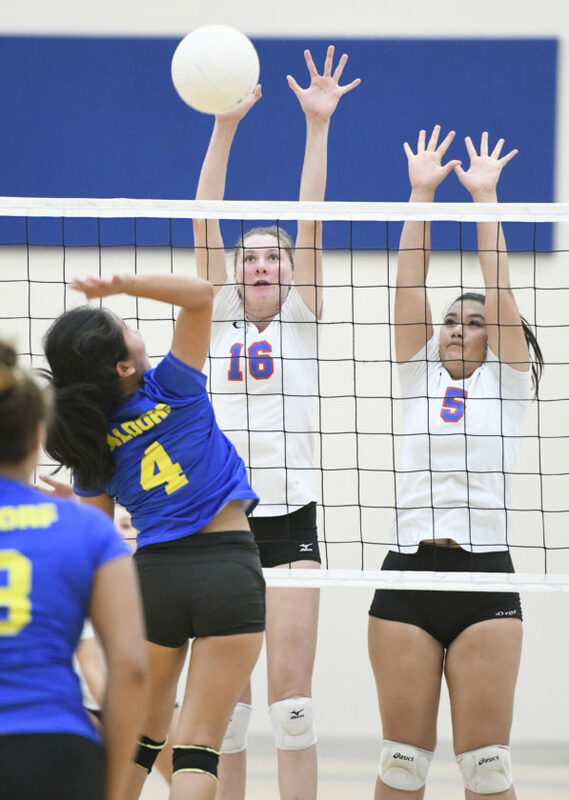 Nina Macphetridge had seven aces and three kills, Nohokula Lind had seven kills and two aces, and Kalena Vaivai had 19 assists, three kills, three blocks, and two aces for the victors.